Happy St. Patrick's Day to those who celebrate. 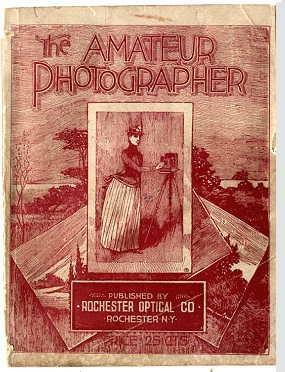 The Rochester Optical Company ("ROC") was a very large and successful, photographic supply concern in the 1880's and 1890's. In a previous post, I showcased a fairly rare ROC business card as well as an extensive article published on ROC's factory. 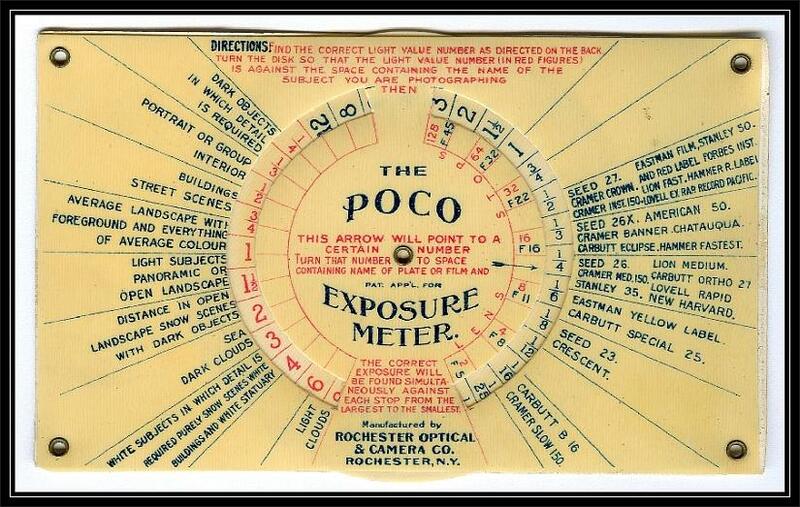 Given ROC's long lived success, there are many cameras and ephemera that continue to surface in the marketplace. As such, I am always on the look out for interesting new pieces. I recently purchased an ROC postal cover (envelope) that contained a letter. While not rare, it is fairly unusual to find a personal letter on company letterhead as opposed to a billhead (receipt). That letter is shown below. Upon examining the letter, I noted a few things. 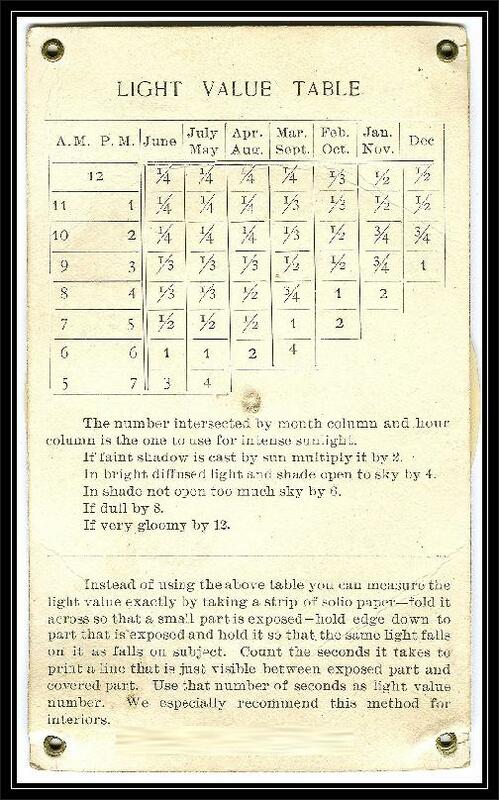 First, the stationary was obviously printed in the mid to late 1880's as the date portion is pre-printed 188_. The author of the letter has crossed out the second 8 and written in 91. The envelope containing this letter, featuring ROC's logo, (not shown), was addressed to John Wheeler of Portville, NY. With clues contained in the letter, it would appear that John was a young man of school age. There are also two references to "Will." Ancestry.com reveals one John Wheeler living in Portville, NY at this time: John Egbert Wheeler, born in Portville, NY on May 19, 1879. His father's name just so happens to be "William" Wheeler, perhaps that "Will" that is referred to in the letter. William Wheeler was listed as a banker in the 1880 census. 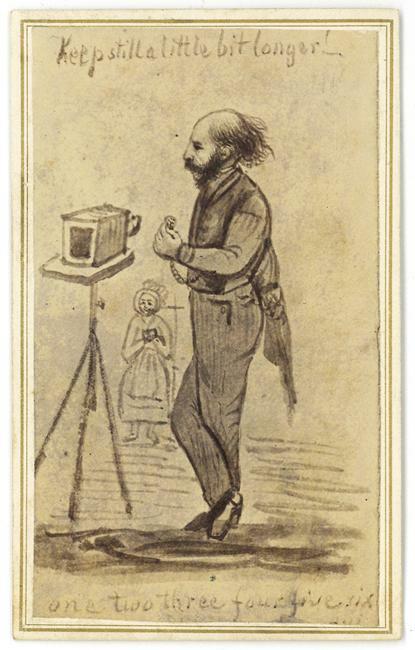 Another item recently acquired is a Cartes de Visite featuring a cartoonish drawing of a photographer and his subject. 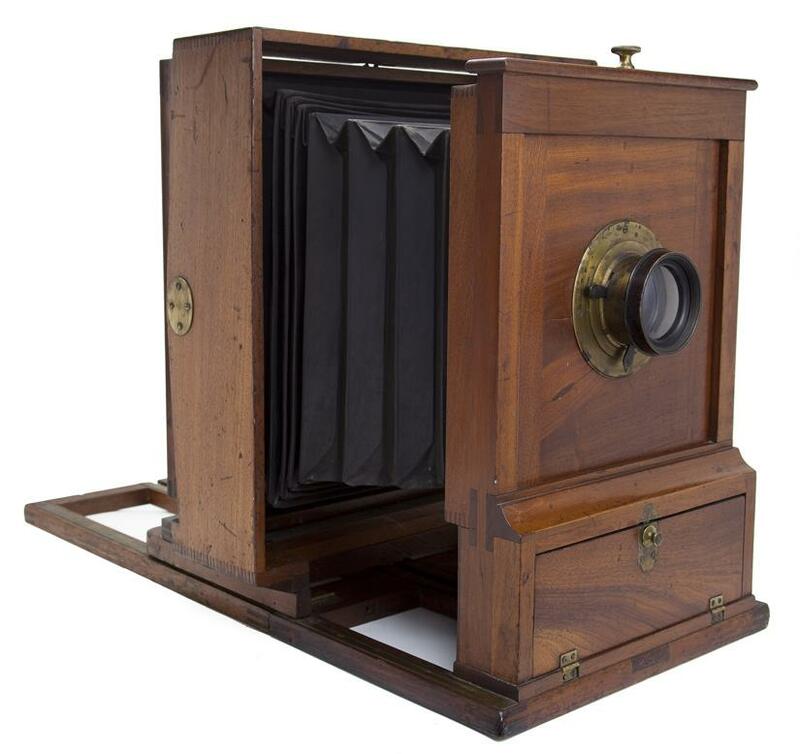 "Keep still a little bit longer.....one, two, three, four, five, six....."
The image features a Daguerreotype camera laid upon its stand, while the subject is seated with a headrest visible behind her. The photographer tracks the exposure time on his pocket watch. 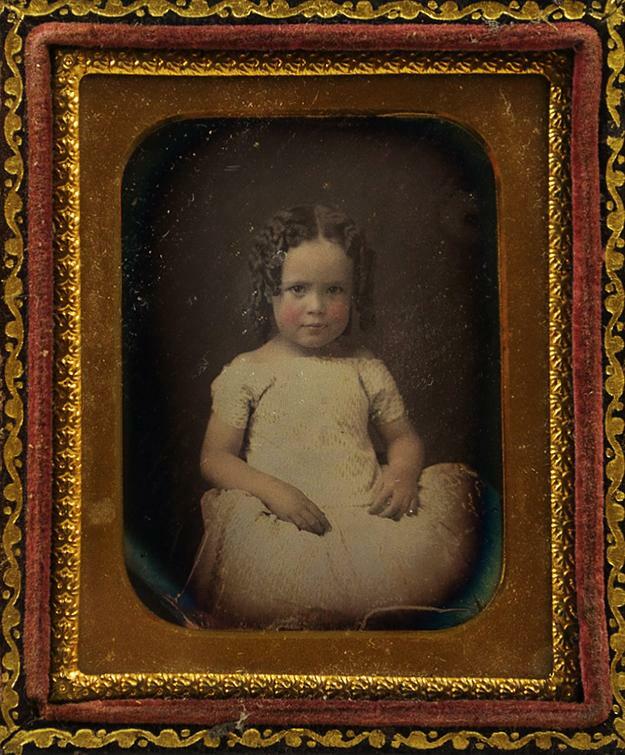 The CDV image is framed by two gold lines, one thicker-one thinned, which was a feature prominent during the 1864-1869 period. Having collected many CDV's, I can say with some certainty that it likely dates to the early side of that range, perhaps no later than 1867. A great image closed on ebay last night and despite feeling I was going to win the auction, I was outbid by $ 10.00, with seconds left. This has become the standard of most ebay auctions - all the action occurs in the last 20 seconds. I thought a bid of $ 744 was enough, but alas, it wasn't. 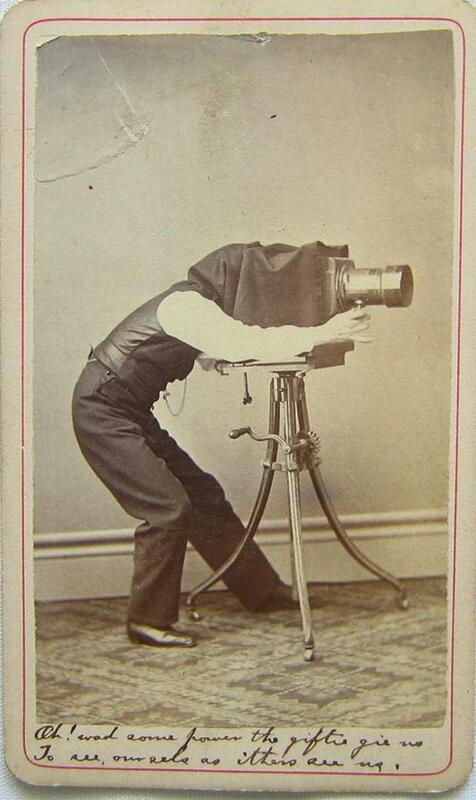 The image was a mid 1870's CDV of a photographer and his camera. What makes this one stand out beyond it being an image of a photographer and his equipment, is the great pose and composition of the image. Most CDV's are nowhere near as dynamic as this one. 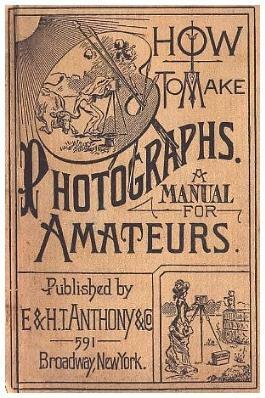 The image is also very much like the famous illustration of a photographer that was used in photographic advertising in the 1870's-1890's, including Anthony's Photographic Bulletin for some period and was later trademarked by John S. Craig, photographica dealer, in 1973. I just so happened to have in my collection a CDV from the 1870's that has a backstamp of this illustration. "The American Backmark" 8.5" x 11", 246 B&W pages, softcover, perfect bound. This book organizes over 1,300 different variants found into 40 categories such as Photo Studio, Animals, Humans, Transportation, Patriotic, Aesthetic and Highly Artistic. 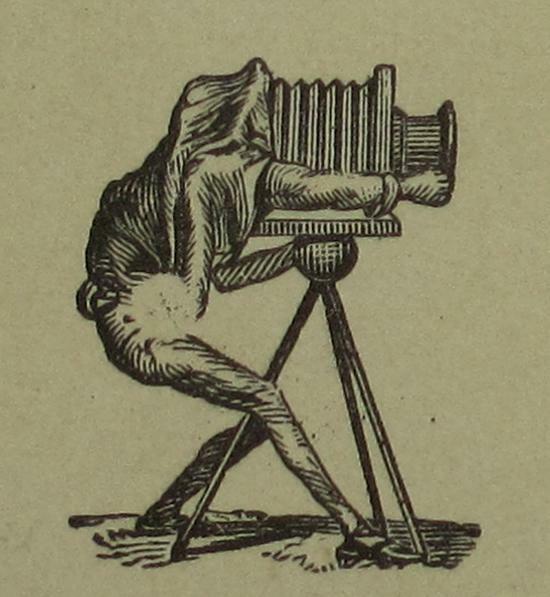 William C. Darrah, in his book "Cartes de Visite in Nineteenth Century Photography", mentioned that no one had ever attempted to catalog all the known artistic designs. Author Mark Chalabala took up this challenge and over the past 10 years has flipped well over 250,000 CDVs; cataloging the designs used on CDV's from 1860 to 1890. This collective is the culmination of those efforts and presents not only the images, but his commentary regarding the designs as well. This book was constructed to present the 'story' of artistic designs from "inspiration to installation". 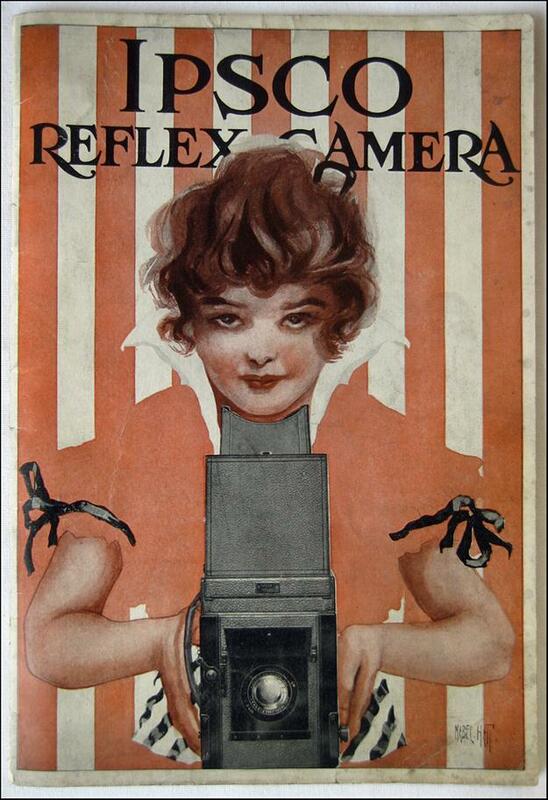 It should appeal to collectors of vintage photography, graphic arts and early advertising. 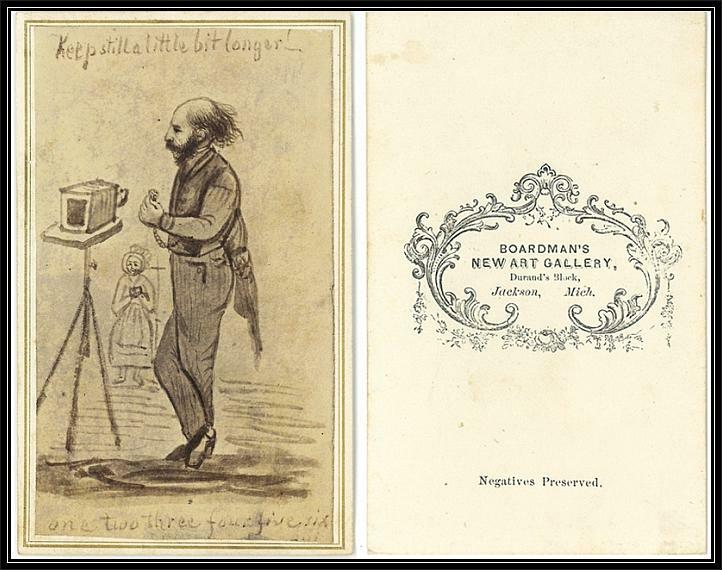 If you've ever looked at the back of a CDV and wondered about where the artwork came from, this is your book. Since you are buying from the author himself, he can sign and/or personalize each book at your request. Simply indicate in the "note to seller" section what you would like written on the inside." His book can be purchased on ebay. I purchased a copy and it's a worthwhile reference for image collectors. I've been fighting a cold this week, so this week's post is just some eye candy from The Collection of Jordan Patkin. Enjoy. Read more about this camera here. For your reading pleasure, a concise but well researched biography of George Eastman. Click below to download. 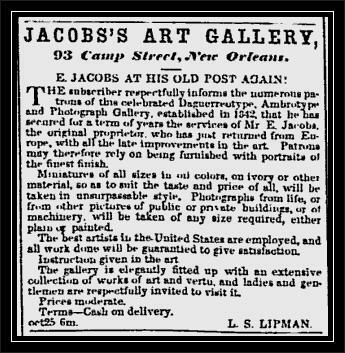 Edward Jacobs (1813-1892) was one of New Orleans first and most important photographers. 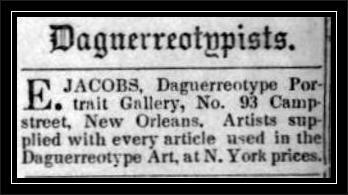 Jacobs, an Englishman, established a Daguerreotype studio in 1844* in the heart of New Orleans, and remained active in that city for 20 years. 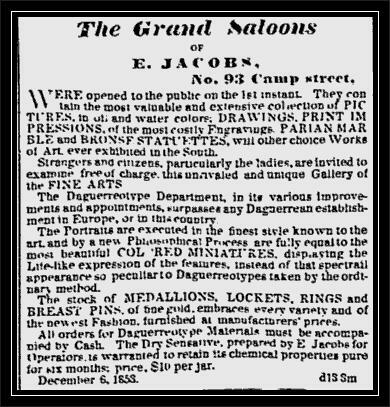 *One newspaper advertisement states he established his studio in 1842, see below. 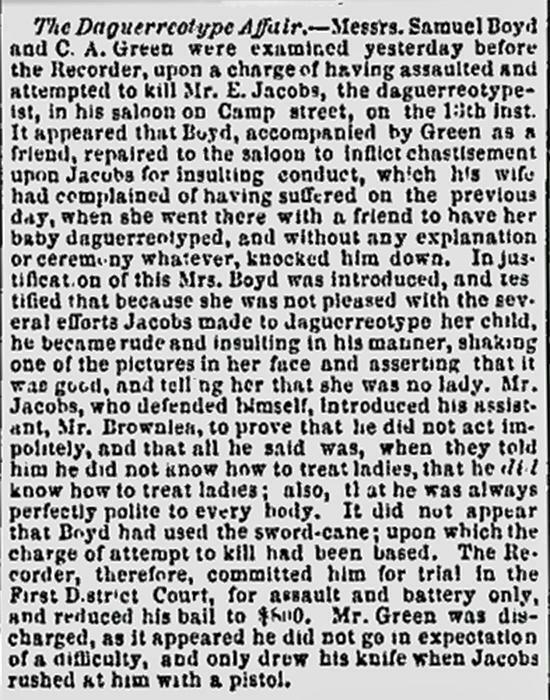 One of the most interesting pieces of information I found about Jacobs was that somone attempted to kill him over how he handled a daguerreotype customer ! 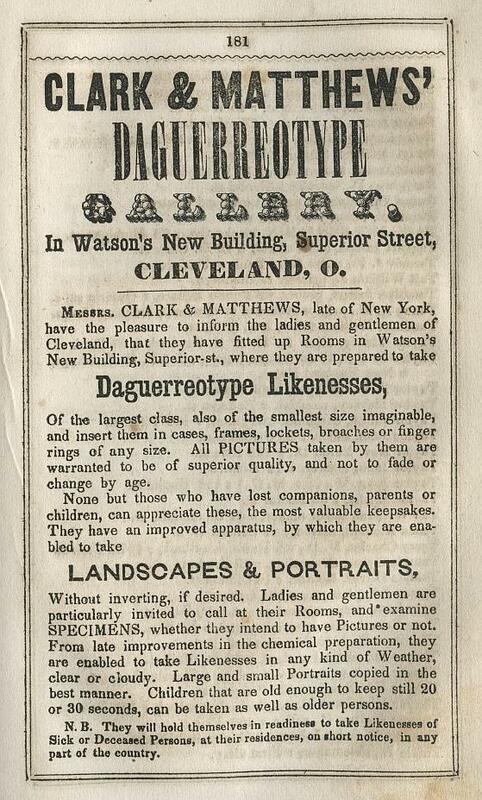 From The Daily True Delta newspaper, published July 26, 1855, who titled the article, "The Daguerreotype Affair." Click HERE to see a fine daguerreotype of a carpenter, attributed to Jacobs. 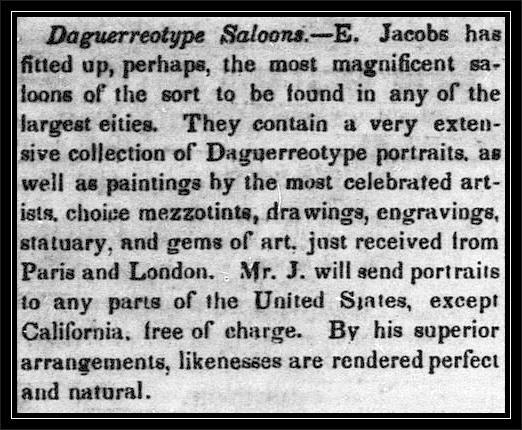 Like a handful of other Daguerreotype artists of the 1850's, Jacobs had tokens produced (by Scovill) to help advertise his business. Probably first issued in late 1851, these continued to be minted through the 1850's. 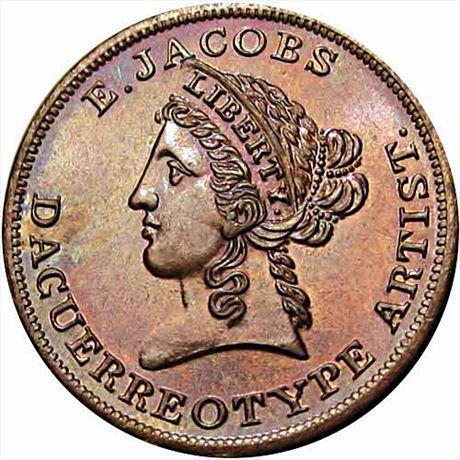 Jacobs' tokens were made to look like the Liberty Head $ 10 Gold coin that was being minted at this time. While 5 variations of the Jacobs token have been catalogued, the differences between them is the metal that was used to produce them and the style of edge they had (plain or reeded). The different metals used to make these were: copper, brass, silvered copper and tin. I recently purchased a Jacobs token that was made from copper and featured a plain edge. This token is catalogued as "Miller LA33" and is shown below. 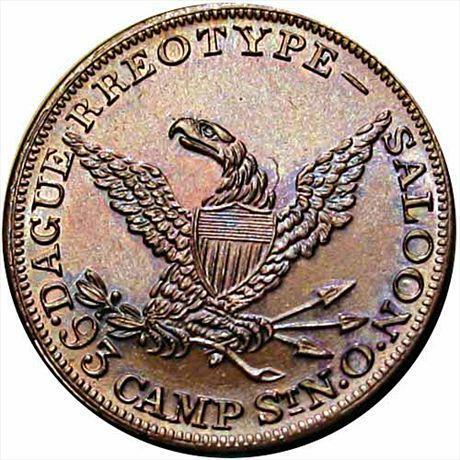 You can read more about Daguerreotype tokens in my December 15, 2012 post - click here. 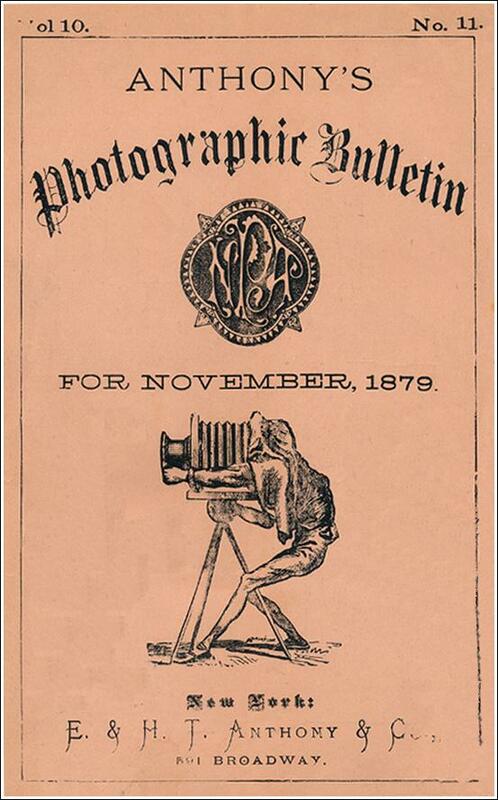 In August of 1890, The Photographers Association of America ("PA of A") held their 11th annual convention in Washington, D.C. 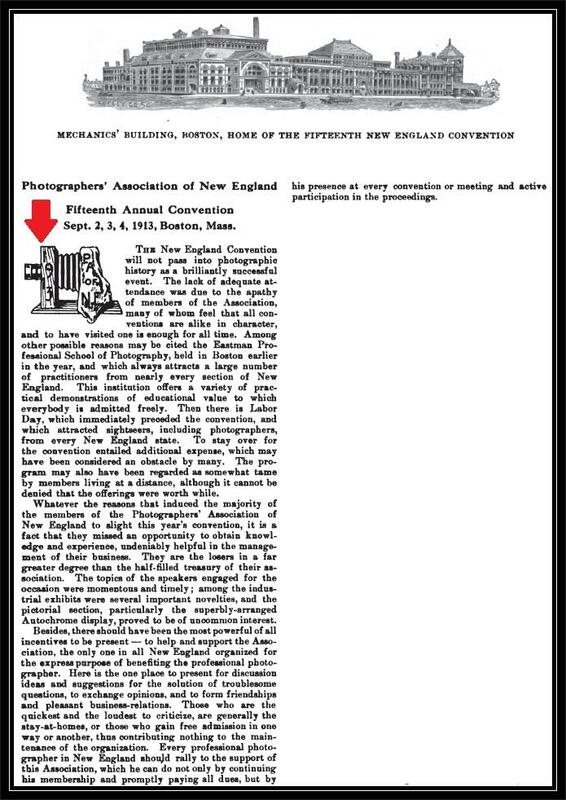 The association, with membership numbering just under 500, was mostly comprised of professional photographers and photographic industry businessmen, led for many years by well known Daguerreian Artist, J.F. Ryder. 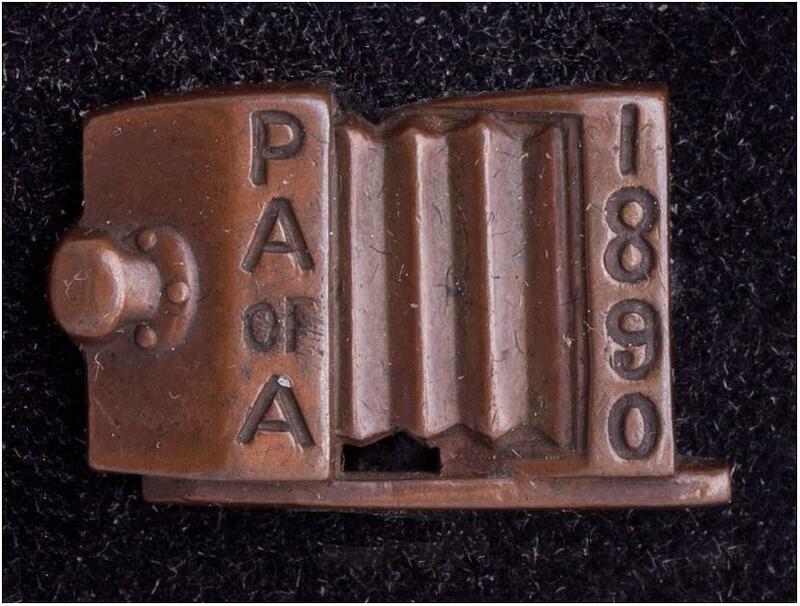 In 1890, the PA of A was presided over by J.M. Appleton. 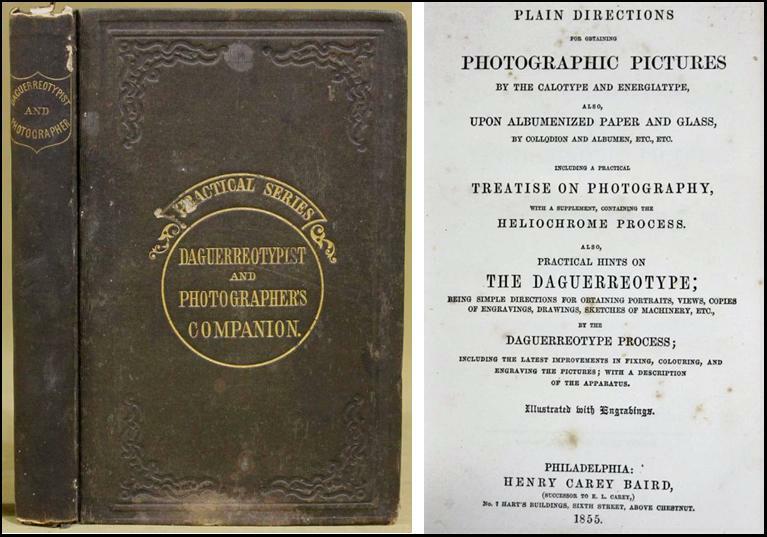 The 1890 convention was particularly important as the PA of A had collected funds and commissioned a monument in honor of Louis-Jacques-Mandé Daguerre and to commerate a half century of photography. The convention would be centered around dedicating this memorial at the Smithsonian Institution on August 15, 1890. Many more images of the monument can be found by clicking here. You can read the complete contemporary account of the 1890 dedication by clicking here. In addition to unveiling the "Daguerre Memorial," the convention also featured a large photography exhibit in addition to hosting its annual photography contest. Many of the medals given out as prizes were made by the famous jewelry firm of Shreve, Crump and Low of Boston. Founded in 1796, Shreve, Crump and Low is the oldest jeweler in North America and is still in business today. Shreve, Crump and Low was well known for producing medals and trophies in addition to making fine jewelry and was frequently used by the PA of A. It was customary at conventions like these for members to receive a memento of their participation. 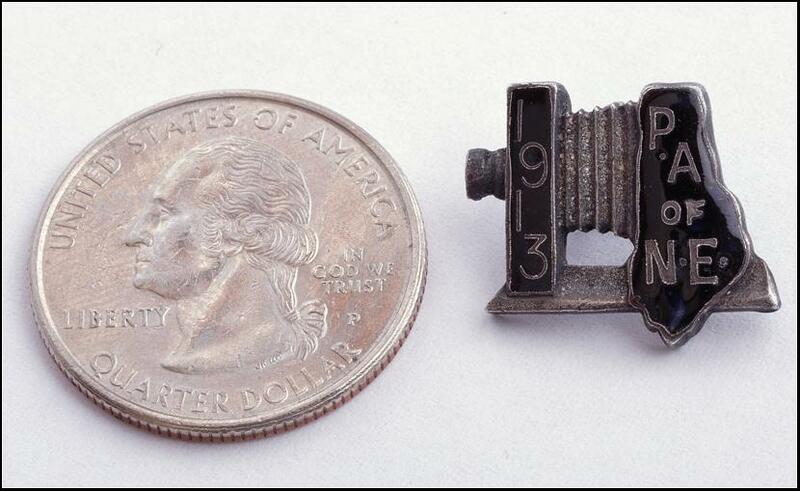 In many cases, especially in the late 19th century, lapel pins were given to mark the occasion. 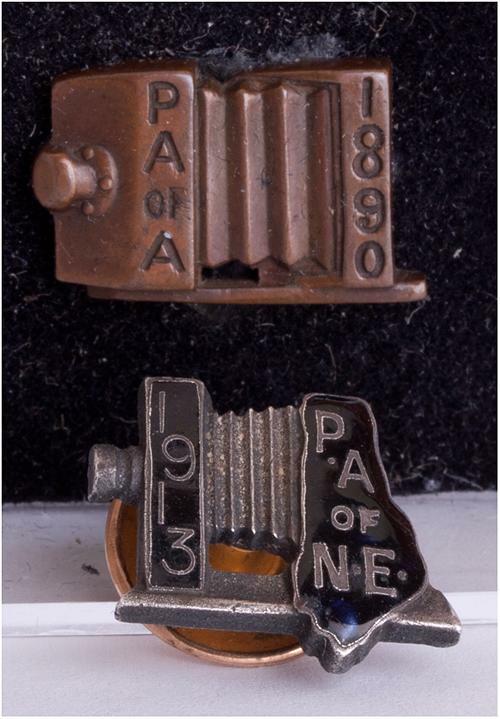 Below you will find one of the lapel pins that was given out at the 1890 convention (from my collection). On the back button (not shown), the piece is marked as having been made by Shreve, Crump and Low. After purchasing the PA of A pin last year, I have been keeping an eye out for similiar items and recently came across another lapel pin. 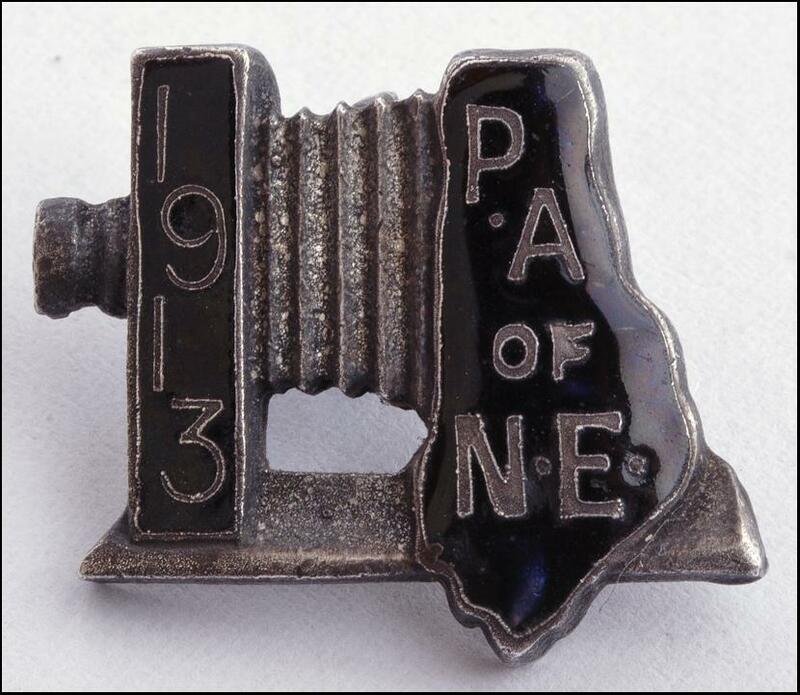 This pin was produced for the Photographers Association of New England's 1913 Convention by the Robbins Company of Attleboro, Massachusetts, another well known jeweler and medal maker founded in 1892 and acquired by another firm in 2007. 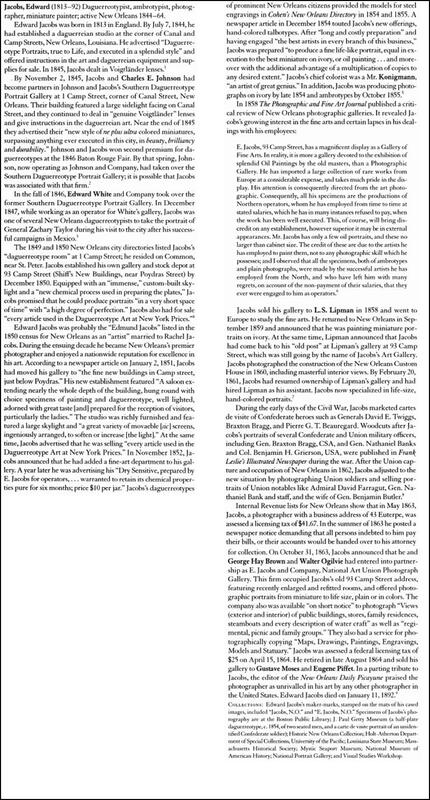 You can read John's obituary here and learn about his many important contributions to the study of photography's history, including his incredible work, Craig's Daguerreian Registry. I've lived in New England my entire life (Massachusetts) and love it. I enjoy living in a location that has four seasons and I especially enjoy the winter. Tonight, we are expecting a blizzard. Yes, a genuine blizzard with up to two feet of snow forecasted. While I hope everyone is safe, I say, "bring it on." As such, I am posting my blog entry early this week given it's very likely I lose power tomorrow. One of the great things about collecting photographica, is the incredibly varied and diverse items one can collect. Included in those choices, is equipment that is physically large and small. 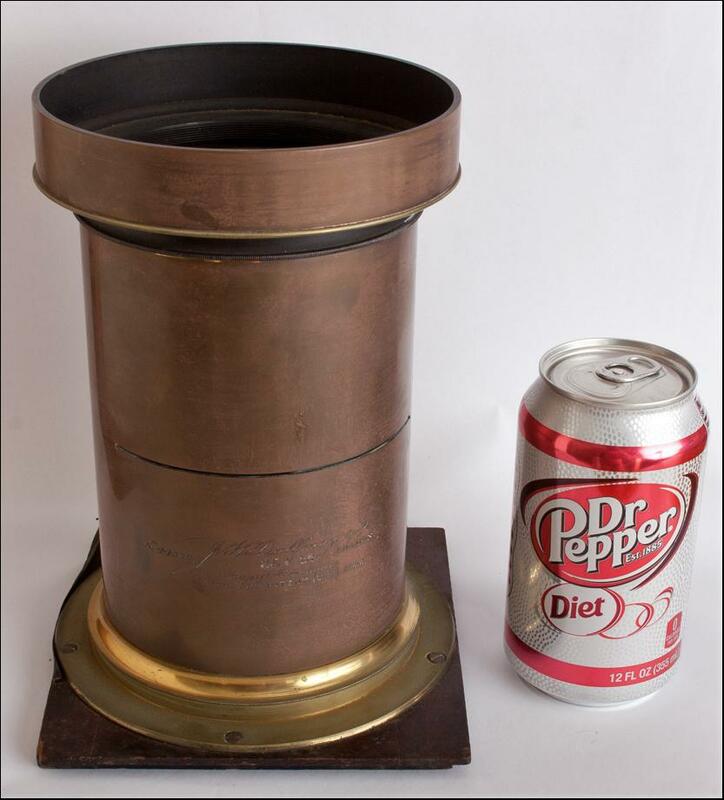 Recently, I sold a Dallmeyer Rapid Rectilinear ("RR") lens that covered 21 x 25 inch plates - their largest regular production RR lens. While not as large as some of the big Petzval lenses can get given the RR's f/8 speed, this one weighs 5 pounds, has 4 inch diameter glass and is an 850mm lens. 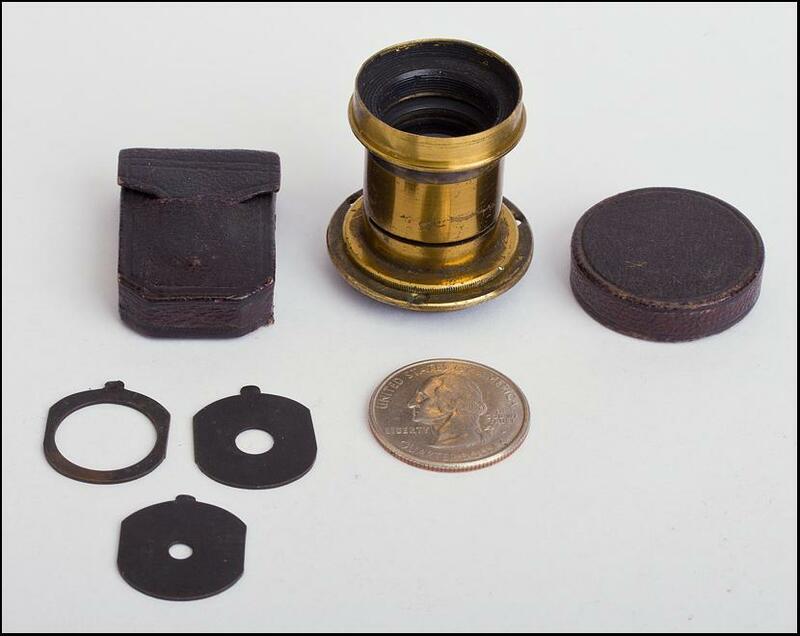 Conversely, the smallest regular production RR lens was typically for quarter plate cameras covering a plate size of 3.25 x 4.25 inches. 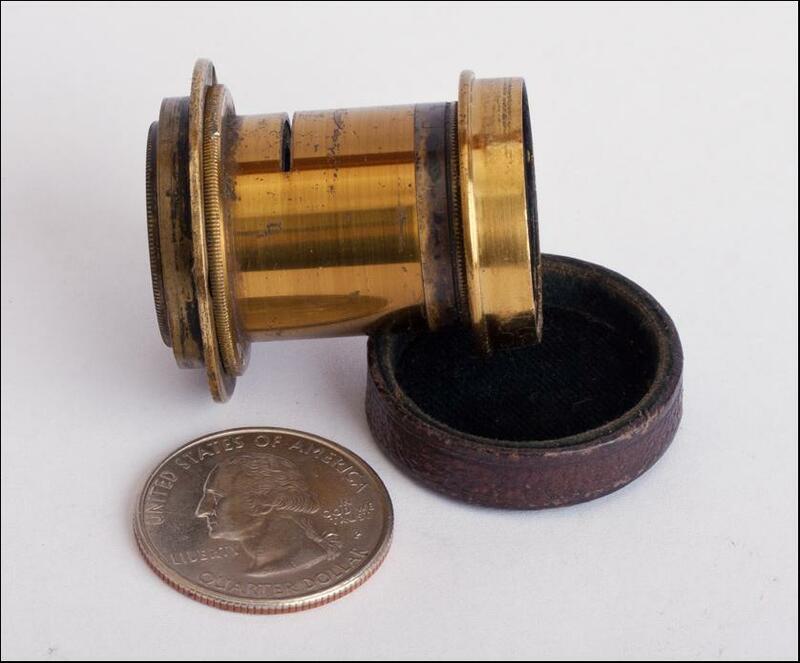 Below is an unmarked RR lens for quarter plate, weighing a few ounces, featuring 1/2 inch diameter glass and a focal length of 100mm. Years ago, I owned a Steinheil Aplanat (an "RR" lens) that was marked "7 Lin." 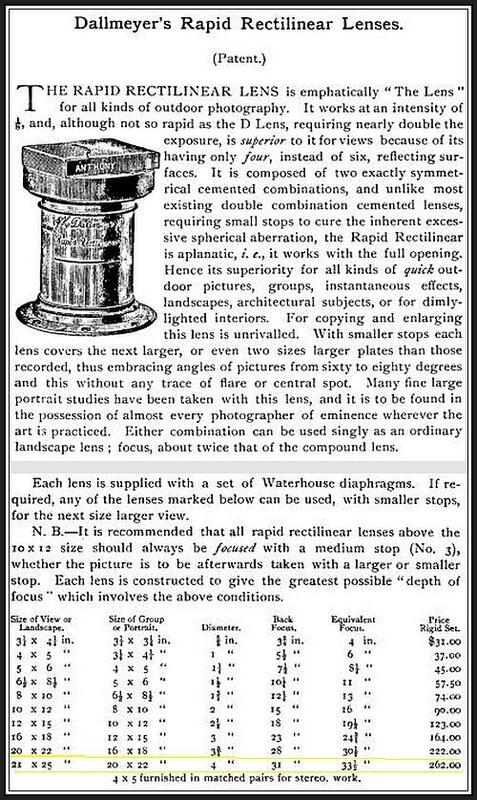 From a Steinheil catalogue: "The [lens] openings are exceptionally stated here in lines (of Paris) [labeled LIN on the lenses], since aplanats were made and named according to these units and because these names are still used by the public." So, a 7 LIN lens has an aperture of 7 LIN times 2.25mm per LIN = 15.75mm take that and divide by 25.4 mm per imperial inch and that equals = .62 imperial inches for the max aperture. Smile and enjoy Super Bowl Sunday. 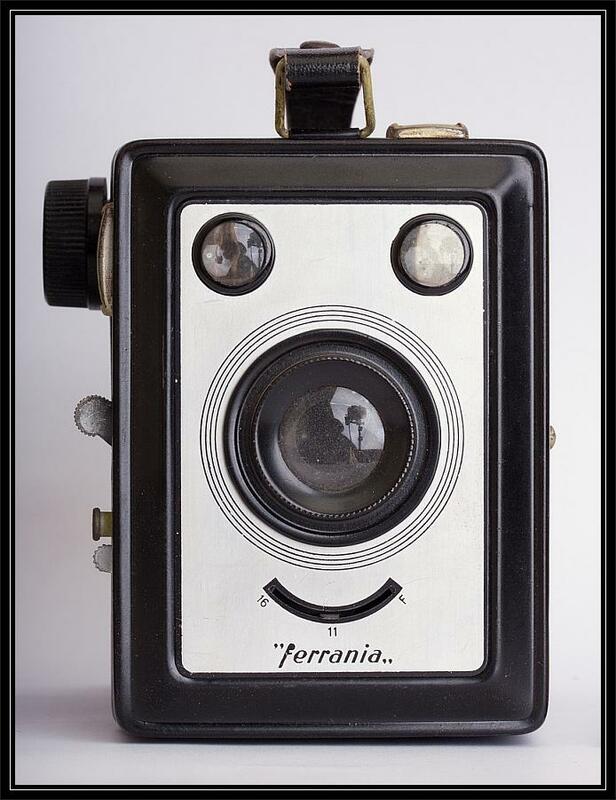 The Italian photographic company, Ferrania, has a long history dating back to 1882. Before becoming a global player in the manufacturing of film, the company was best known for its role in World War I as a manufacturer of explosives (then called Società Italiana Explosive Products). You can read more about its pre-photographic history here. 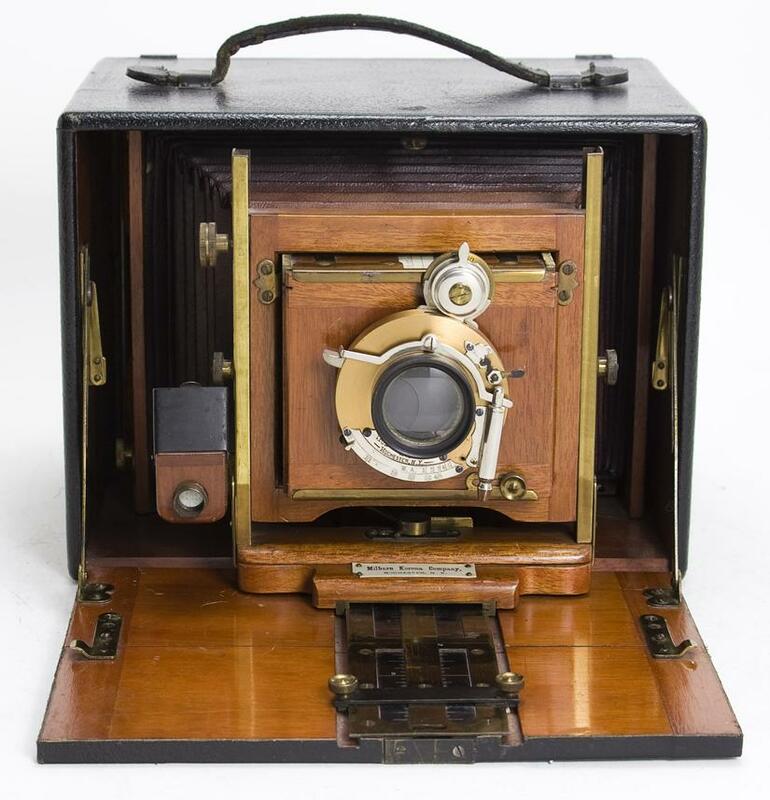 Through a series of acquisitions and expansion in the 1920's and 30's, the company turned its focus to producing photographic plates, film and other photographic material. The company would finally settle on the name of just “Ferrania” in 1938. 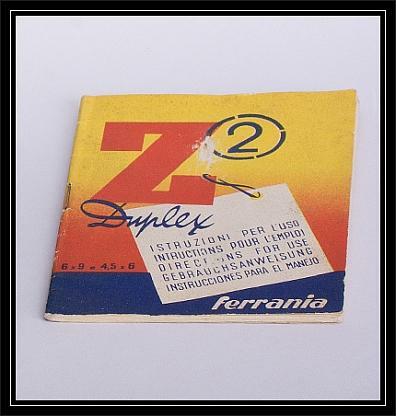 As part of Ferrania’s expansion, in 1935 it acquired the firm of Fabbrica Italiana Apparecchi Macchine Materiali Accessori ("FIAMMA"). Located in Florence and founded in 1920, the firm was co-owned by the well-known Italian photographic entrepreneur and camera designer, Antonio Bencini. Bencini was FIAMMA’s technical director and by the early 1930’s he had focused his attention on simple amateur box cameras. 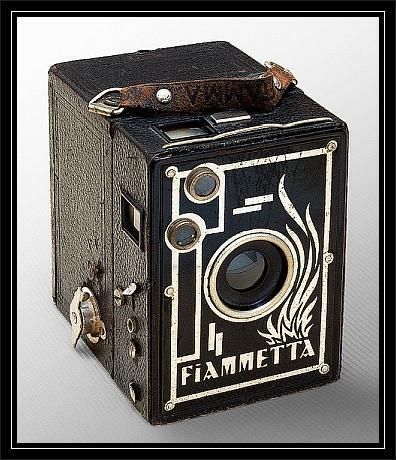 One of those cameras produced (1933) by FIAMMA was the “Fiammetta,” as shown to the right. This took 6x4.5cm images on 120 film. 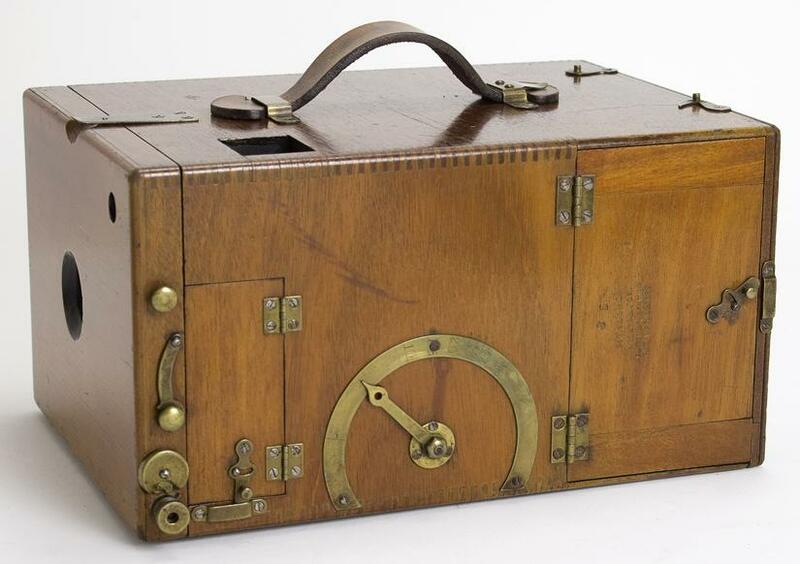 Click here to read more about this camera and a few of its interesting features. The page is in Italian, but easily translated by your computer. 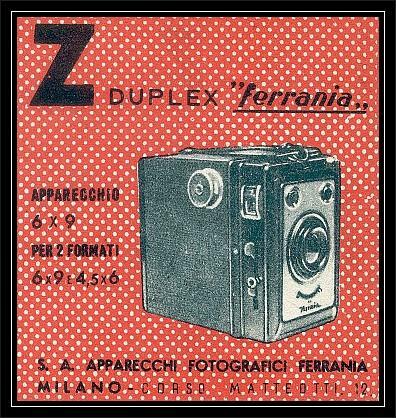 After the sale of FIAMMA to Ferrania, Antonio Bencini went to Turin and founded a new firm, called FILMA, to continue the production of simple, amateur box cameras for the masses. 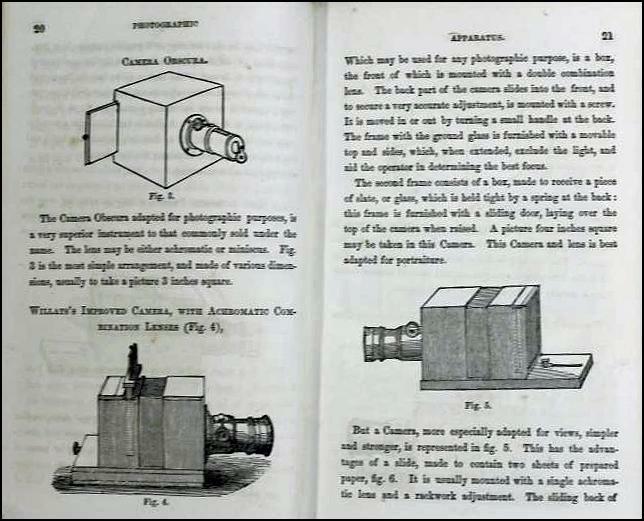 The first camera produced was simply known as the Filma camera (left), which featured a fixed f/11, 75mm meniscus lens for taking 6x4.5cm images on 127 film. Read more about this camera here. 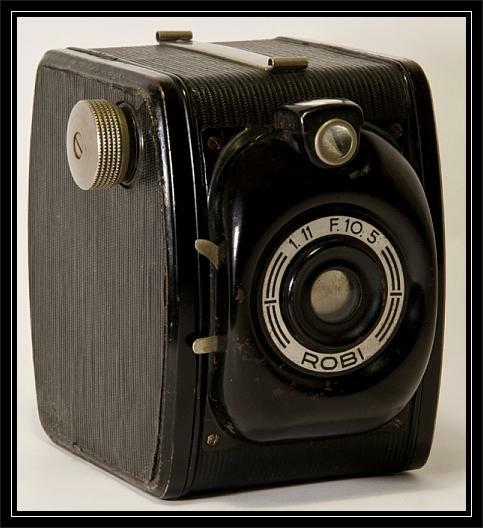 Filma also produced a similar box camera, the Robi, which featured an f/11 105mm lens for taking 6x9cm images. These cameras were the genesis by which Ferrania entered the camera market. 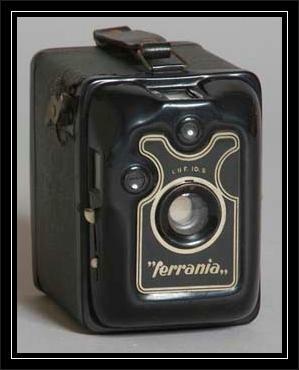 The first camera sold under the Ferrania label, in 1938, was a box camera simply called "Ferrania," basically a copy of the "Filma" produced cameras. 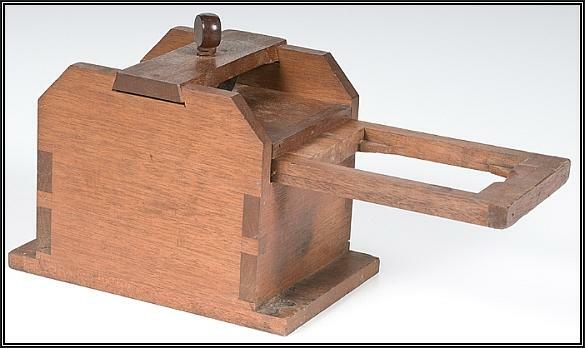 This very basic box camera took 6x9cm images with a fixed f/11 105mm lens. 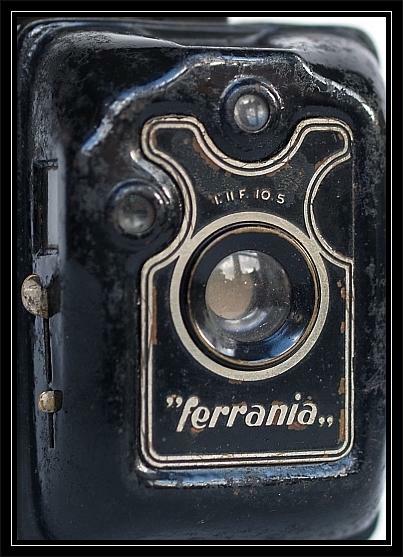 Just as George Eastman had done with the Brownie camera, Ferrania wanted to sell inexpensive amateur cameras in an attempt to increase its film sales rather than making highly desirable or highly profitable cameras. However, Ferrania did believe in producing things in the "Italian Style" which focused upon producing items of beauty and having aesthetic appeal. In 1940, Ferrania produced a number of simple viewfinder cameras in 6x4.5cm format, utilizing the Greek alphabet for its naming convention. 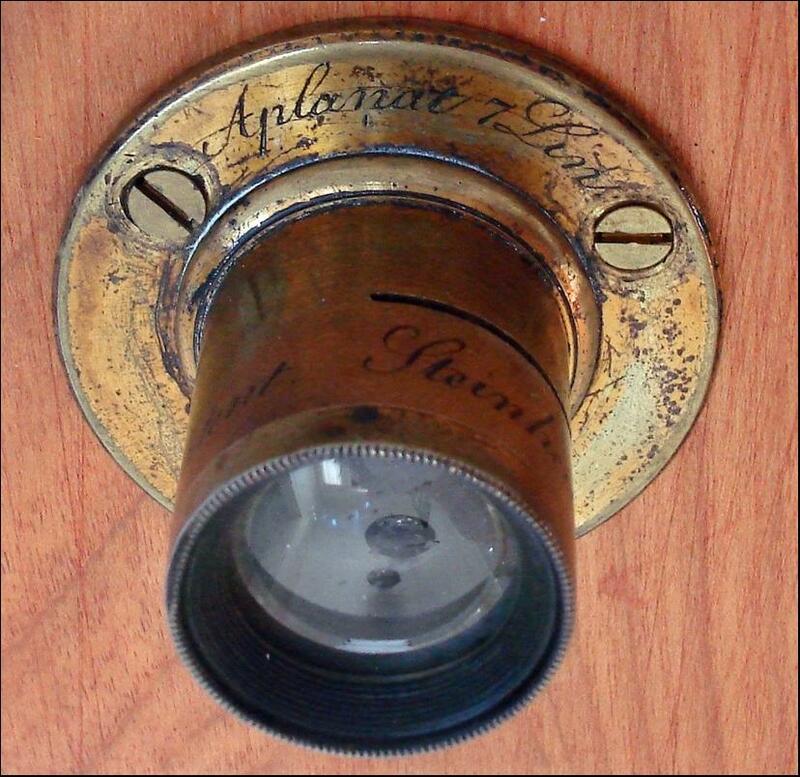 The ALFA, BETA, and ETA cameras were all marketed in 1940. However, with the outbreak of World War II, production of new cameras would be halted. 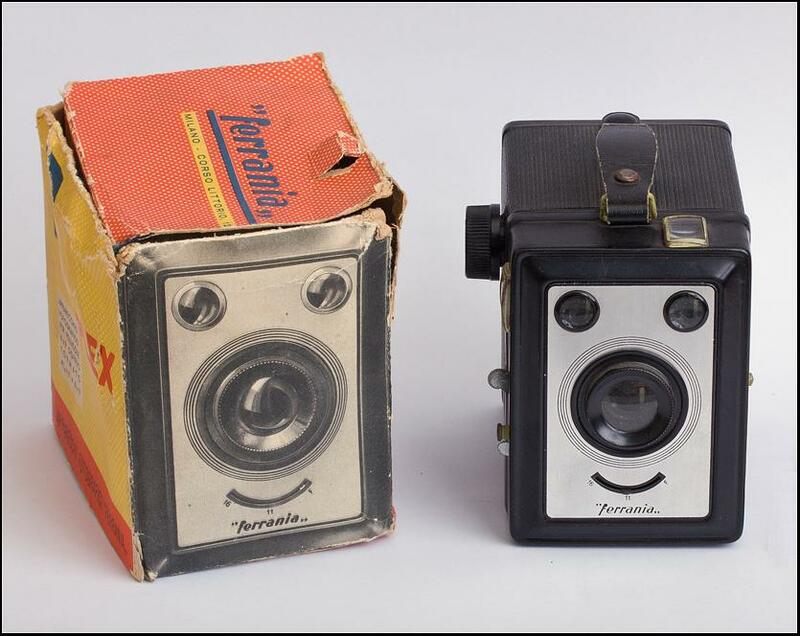 It wasn't until 1945, that Ferrania produced two new cameras, the DELTA, another simple viewfinder camera, and the ZETA, another simple box camera. The Zeta camera featured an f/11 lens with an additional stop at f/16. The 105mm meniscus lens took 6x9cm images on 120 film. 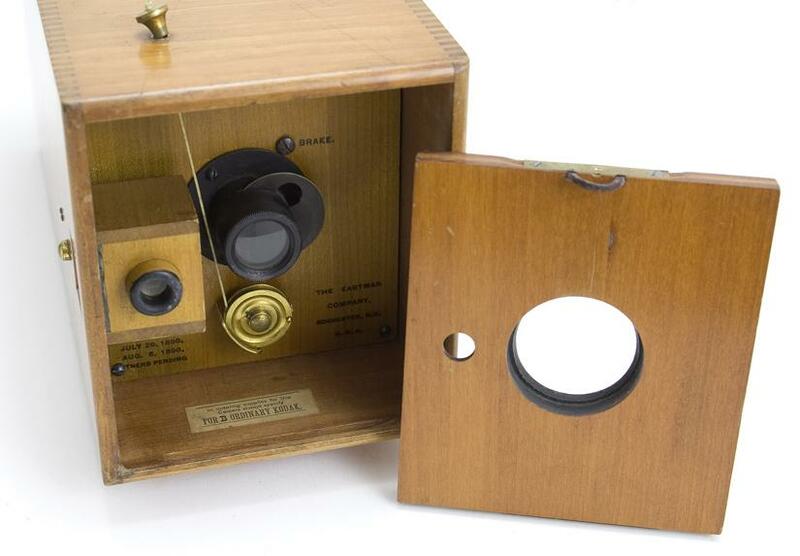 The Zeta Duplex was also produced which featured the ability to shoot 6x4.5cm or 6x9cm images. 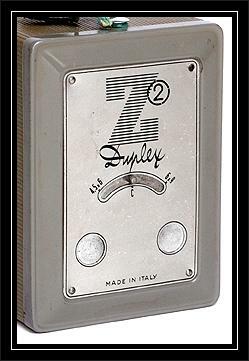 In 1946, the Zeta Duplex 2 arrived with minor differences and upgrades. The Zeta camera is actually the focus of this blog posting. 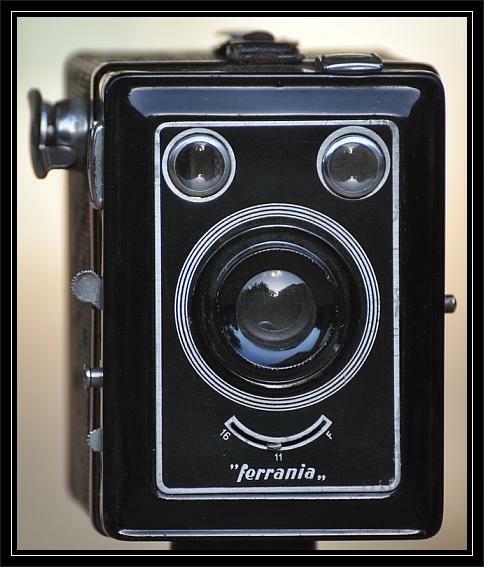 Known across the internet as the "Smile" camera, the Ferrania Zeta has to be one of the most pleasant looking cameras ever designed. One can't help but be amused by the appearance of this camera. 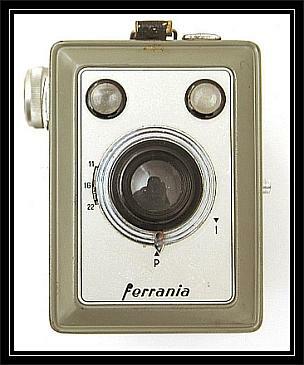 Clearly, Ferrania was interested in producing a camera that would appeal to customers on more than just a utilitarian level. It's also very ironic this camera was produced immediately after the great devastation of the war. In fact, it could have been the very reason for making such an uplifting design. While I am unclear exactly how long the Zeta cameras were produced (although I would estimate 2 or 3 years), there are multiple variations of the various Zeta models, featuring both cosmetic and minor mechanical variations. Upon learning about this camera about a year ago, I searched for many months on ebay for a nice example. What I learned is that these are terribly difficult to find in excellent condition. 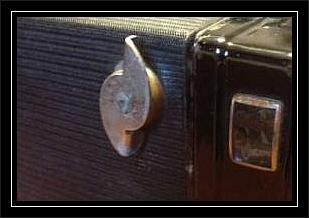 Most examples have chipped paint, peeling coverings, rust, missing straps and all-around poor cosmetics. While appearance seemed to have been important, the quality of materials and finishes was not. After a six month search, I located a fairly nice example which included its original box. I purchased it from a seller in Italy as these are seldom found in the United States. This camera is presented below. As mentioned, there are variations to the Zeta cameras that include an all-black version (below). I believe the all black model is the very first Zeta model. 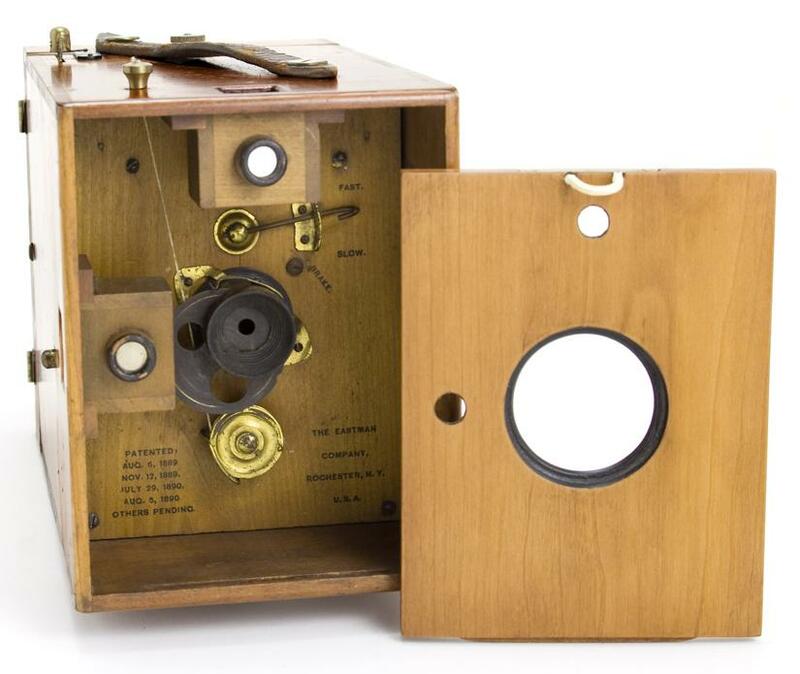 The earliest examples feature a bare metal winding propeller for winding the film that is identical to the one found on the 1940 Ferrania box camera. All the Zeta models after this first version feature a round metal or black plastic knob. There are also olive and grey Zeta Duplex and Zeta Duplex 2 cameras, however I don't believe these versions featured the famous smile. 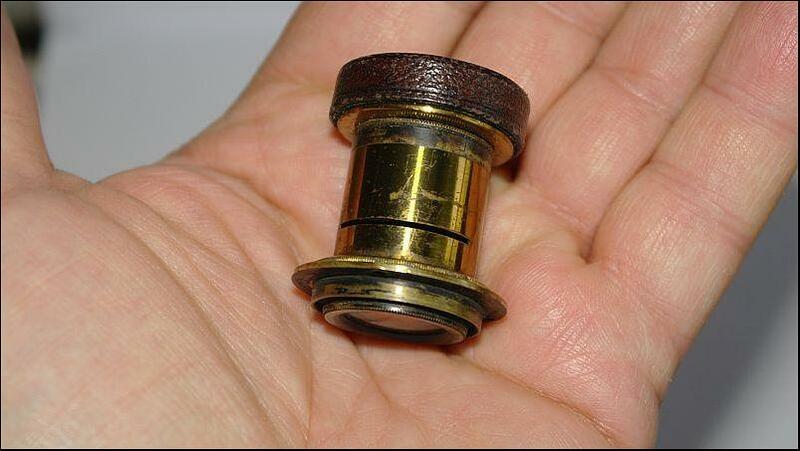 Film winding device found on the first Zeta model. Pictured on the left is an olive finished Zeta Duplex and on the left, a grey finished Zeta Duplex 2. While these colors can be found on both the Zeta Duplex and Zeta Duplex 2 models, I don't believe these colored versions ever featured the smile design. 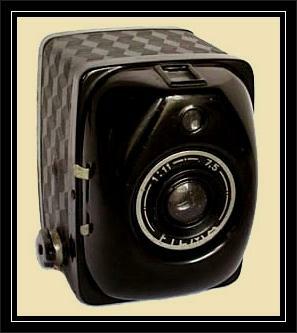 The Zeta cameras that feature the "smile" typically sell for $ 20.00 USD to as much as $ 100.00 USD for a nice example. While very difficult to locate in the US, these can be found on Italy's ebay site at the rate of perhaps one per month. But as mentioned, finding one in good condition can prove very challenging. 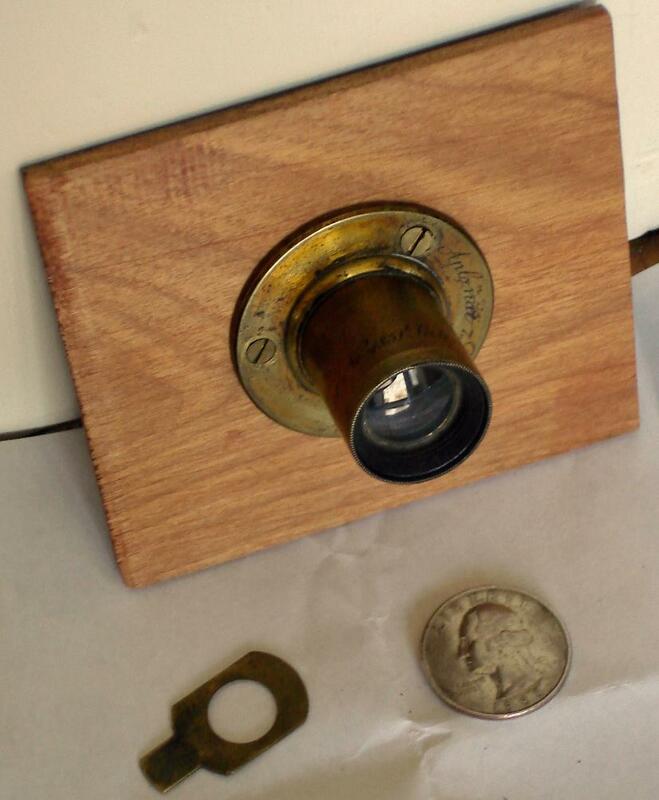 Any self-respecting camera collector ought to own one of these. I own three ! You can't help but smile when you see this camera. 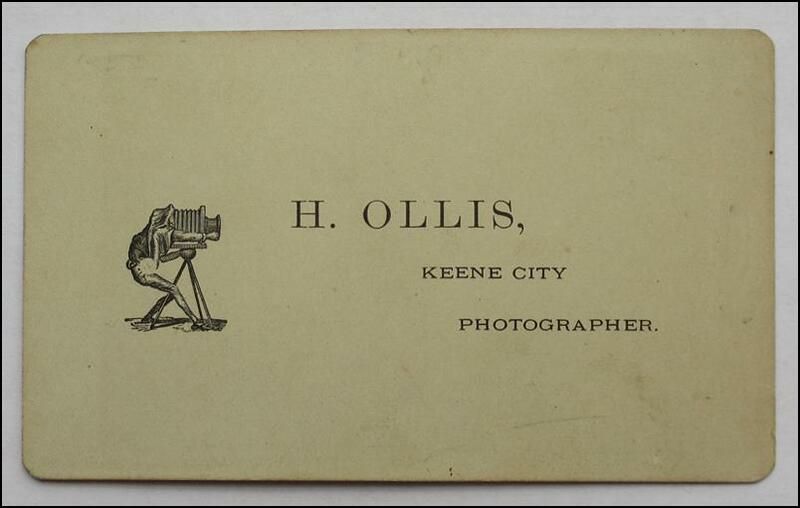 I recently acquired another photographer's business card which dates to c. 1865. This card was coated, which meant the ink was actually printed upon a chemical-based coating that covered the paper. This process allowed for a glossy finish and the ability to produce finer lettering and details on the card. This process, which began in England, was first used in America in 1852 and continued through the 1860's. Previous to this, ink was impressed directly on the paper stock, allowing it to saturate the paper which could obscure fine details as it was absorbed into the paper's fibers. Read more here about coated trade cards. I am not sure who was the person responsible for proofreading the card, but he or she must have been sleeping ! Note the fourth line, "photogrpahes" ! Also, there are ink losses on the card, such as in the word GALLERY. The "E" has lost ink, making it appear as an "L"
While I find no references for S.A. Hilton, A.G. Slagle refers to Alexander G. Slagle who was a Washington, D.C. based photographer for a number of years. 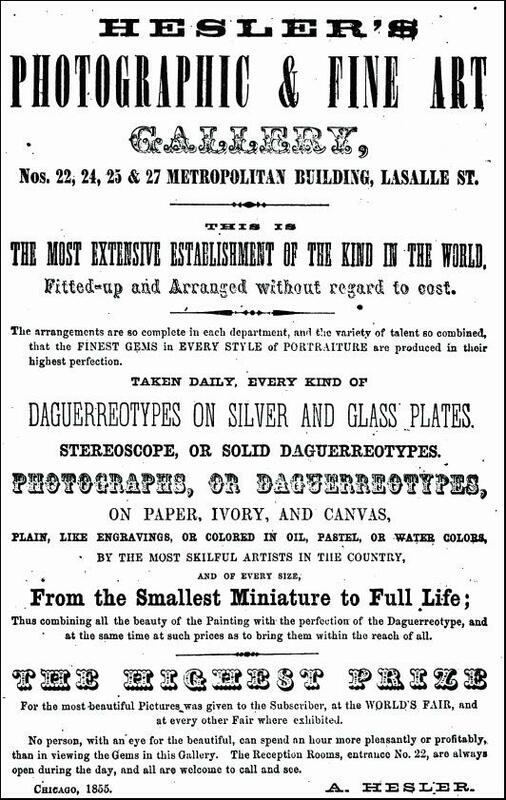 Born c. 1832 in Virginia, Slagle was listed in the 1860 census as a "photographer" and in a city directory as a "daguerrean" (see below). 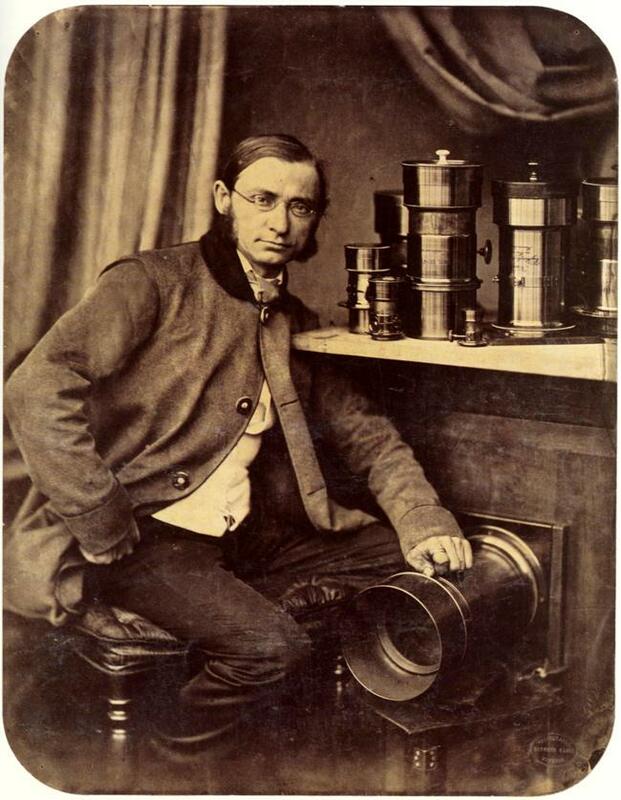 His brother, John W., was also a photographer. 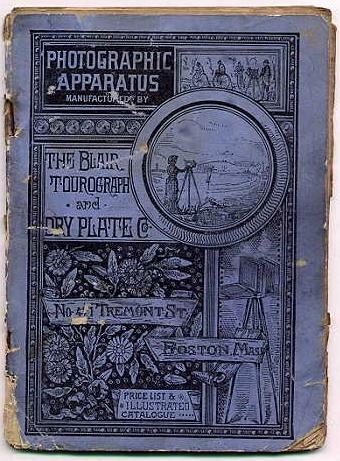 Another brother, George W., is listed as a painter, however by 1866, he was listed as a photographer as well (see below). In an 1862 business directory, Alexander Slagle was listed as "ambrotypes" located at "288 1/2 Pennsylvania Ave." In June of 1863, Slagle was listed in a draft registry and served briefly in the Civil War. 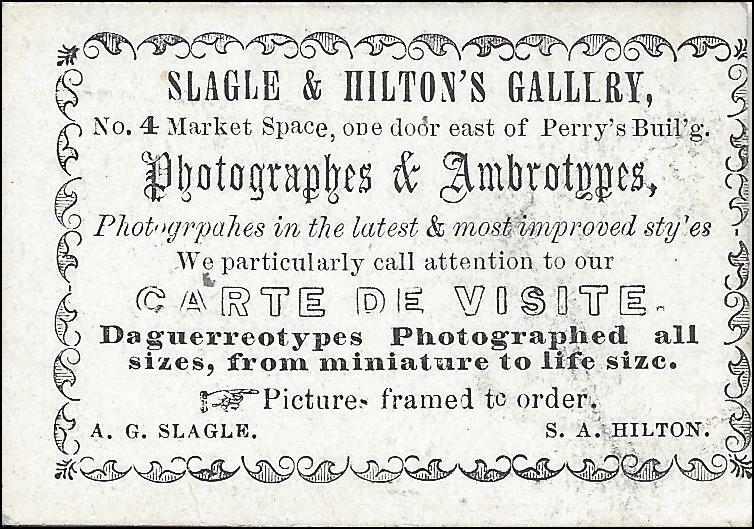 In September of 1865, Slagle's "Old and Established Gallery" at 288 Pennsylvania Ave was advertised in the Evening Star Newspaper. The address listed on the business card, "No. 4 Market Space" was actually also located on Pennsylvania Ave in Washington, D.C. This was part of the main shopping area of the city in the 1860's and the southern part of what was known as "Market Square." 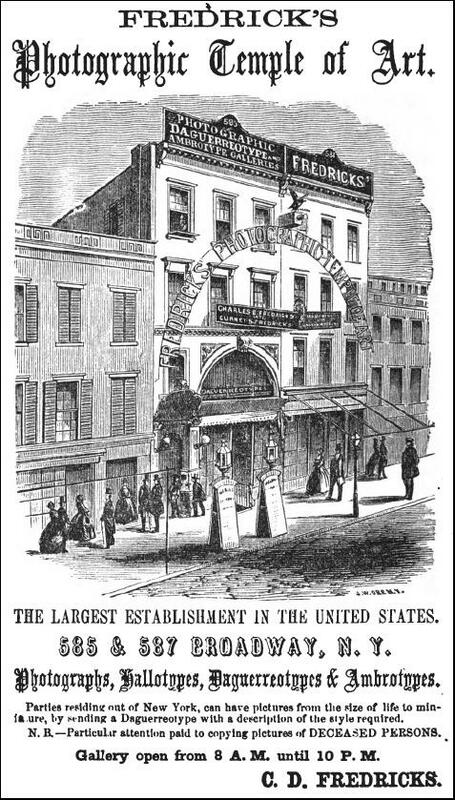 The reference to Perry's Building, relates to a building erected c. 1860 and located at 819-821 Market Space ( Pennsylvania Ave), owned by Thomas and Augustus Perry. I believe this was a second gallery operated by Slagle for a very brief period with S.A. Hilton as his partner. An imprint located on the back of a CDV taken by Slagle, known to have been from 1865, lists the same address, "No. 4 Market Space" which leads me to the conclusion that this card is also from 1865. The 1866 Washington, D.C. city directory has no entry for Alexander Slagle, but now shows George W. Slagle operating as a photographer at 288 Pennsylvania Ave. Alexander reappears in the 1867 directory as a photographer, but only shows his home address with no business listing. 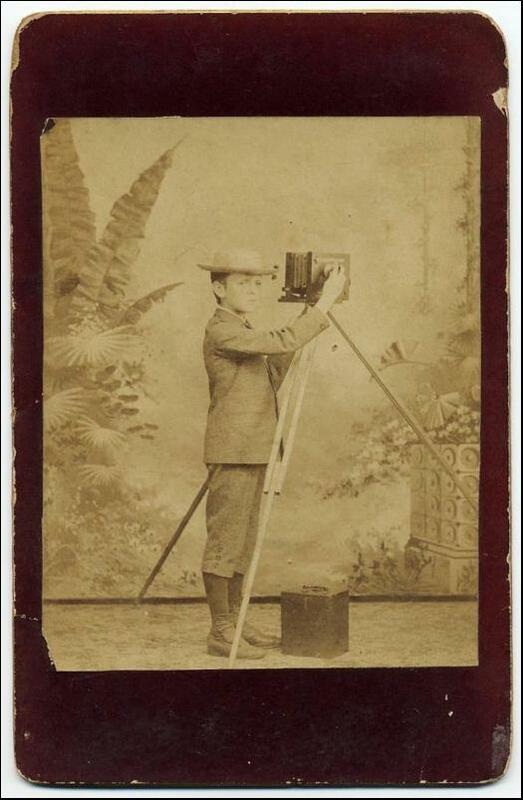 In 1867, Hiram H. King is now advertising as owner of the photographic studio located at 288 Pennsylvania Ave. In 1869, records indicate Slagle briefly went to Arkansas then moved to Memphis. 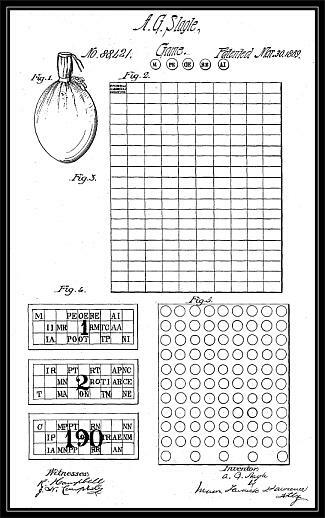 At this time, he also patented a board game. The story of Alexander G. Slagle then turns ugly. According to court records, Alexander apparently marries a woman (Memphis) who may have already had as many as 3 other husbands. And, to top it off, Alexander may also have had another wife that he left in Washington D.C. Alexander was also charged with assualt and battery of his Memphis wife and was even recorded as having shot a gun at one of his her other husbands ! The sorted details can be read here in court records. So much for a happy ending to our photographer's story. Ok, two weeks have passed...did you join the Daguerreian Society ? If not, you really should. I did. 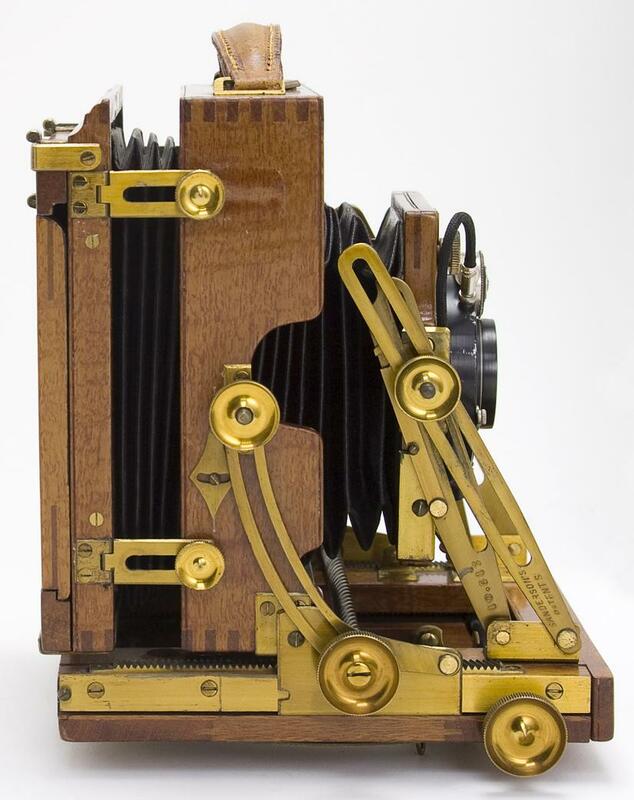 Most of you who collect early photographica know that Matt Isenburg sold his premier collection of early images and camera equipment earlier this year. According to one source, over the years, thousands of people have had the opportunity to see his collection in person, but for those who didn't, one Daguerreian Society member has posted images of the collection from a presentation that Matt recently gave at the DS's annual symposium. Click here to see those images. Keep a towel handy in case you drool ! 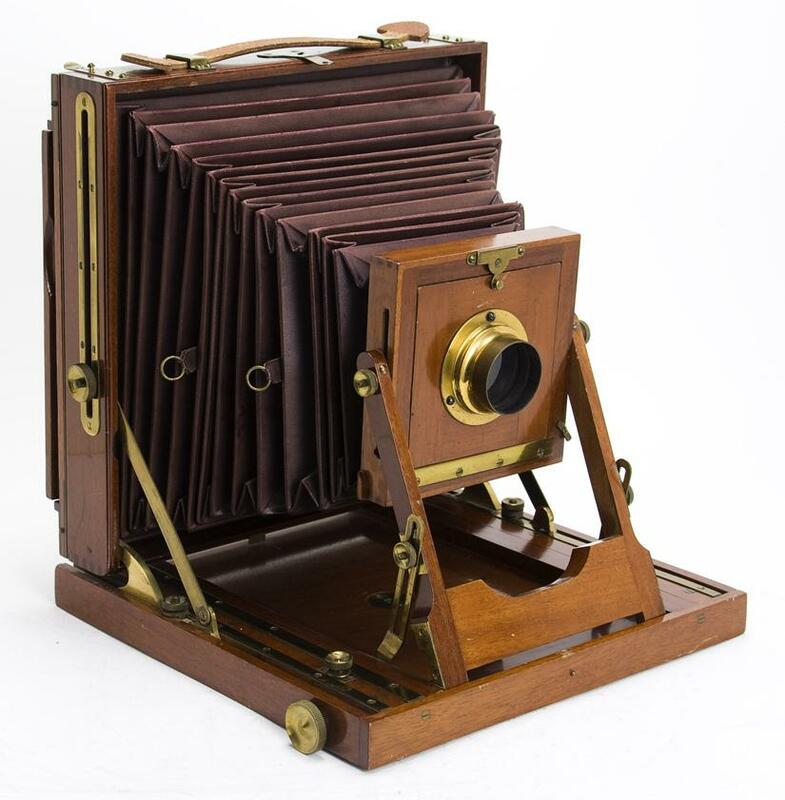 Matt, or Mr. Isenburg, has shared his love for early photography with countless collectors over the last five decades and has my utmost respect. His passion is contagious and he has helped me focus my collecting attention on photography's earliest days. Thank you, Matt ! 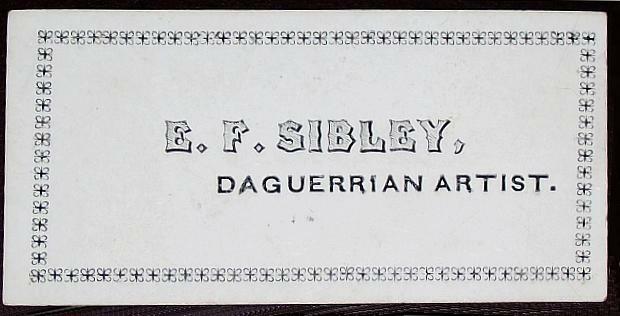 From my collection, a business card circa 1853, measuring 1.5" x 2.75". Given the lack of contact information on the card, it may actually be considered a "calling card." The card was found in 2012, tucked inside a bible, located in central Ohio. 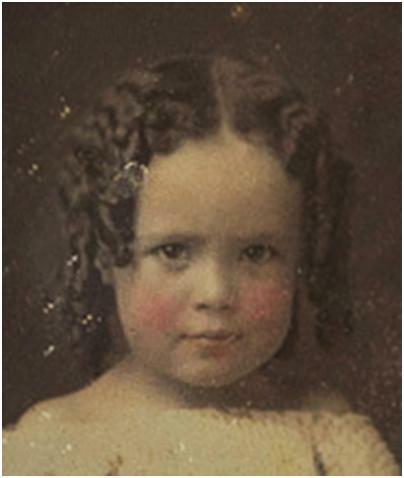 1/9 plate Daguerreotype of a three or four year old girl, circa 1853. 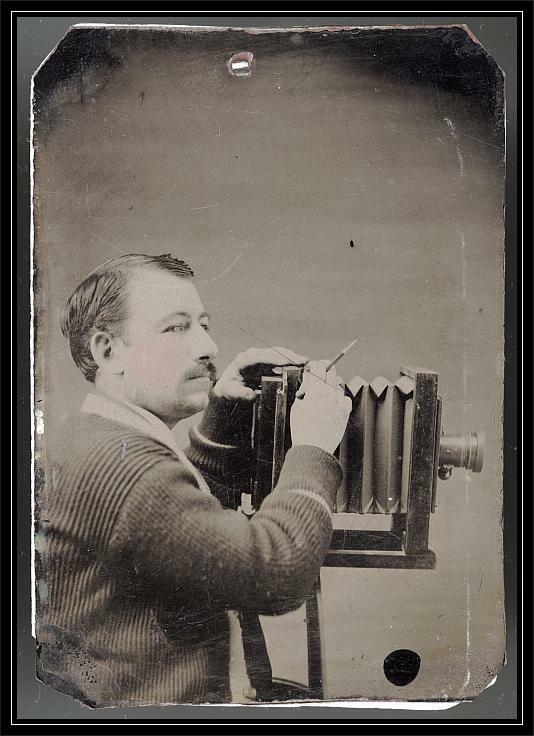 Lester Leroy Northup was an active and noted photographer from the late 1860's until the end of the 19th century, primarily in Bangor, Michigan. "Lester Northup was born in Illinois and moved to Michigan with his parents when he was a young boy. The Civil War beckoned him and he joined the 11th Illinois Cavalry. He came to Bangor from South Haven about 1870 and became a noted photographer. 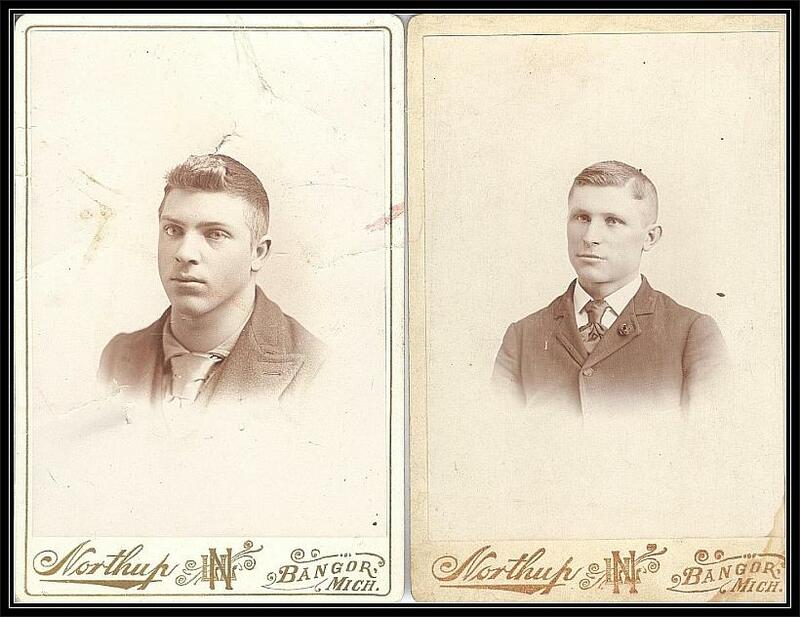 In 1895 he sold his shop to M. O. Whitney and moved back to South Haven, going into partnership with his son Vassar. They eventually sold their shop and moved to Everett, WA. Lester died in 1905 and was buried there. Vassar then located in Portland, OR and seems to have disappeared. If you have seen or heard from him, we would like to know about any family he may have had." 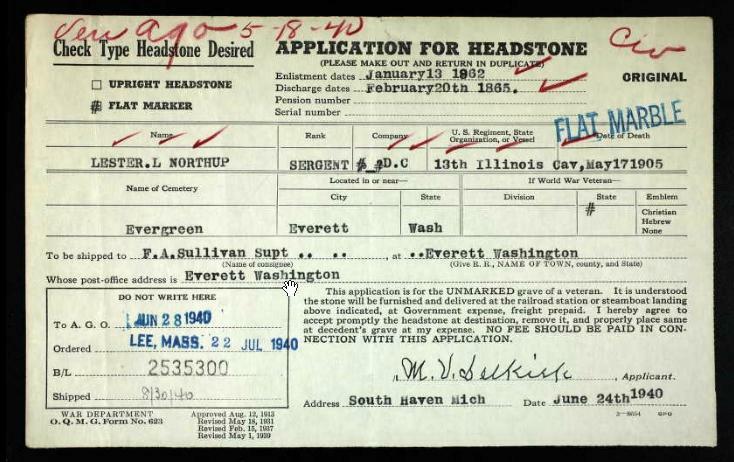 Ancestry records state that Lester Leroy ("LL") Northup was actually in the 13th (not 11th) Illinois Cavalry and held the rank of Sergent [sic]. 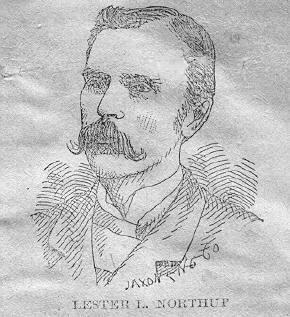 Featured below is a letter I own from LL Northup. The letter is an endorsement for new dry plates being made by LP Brown. 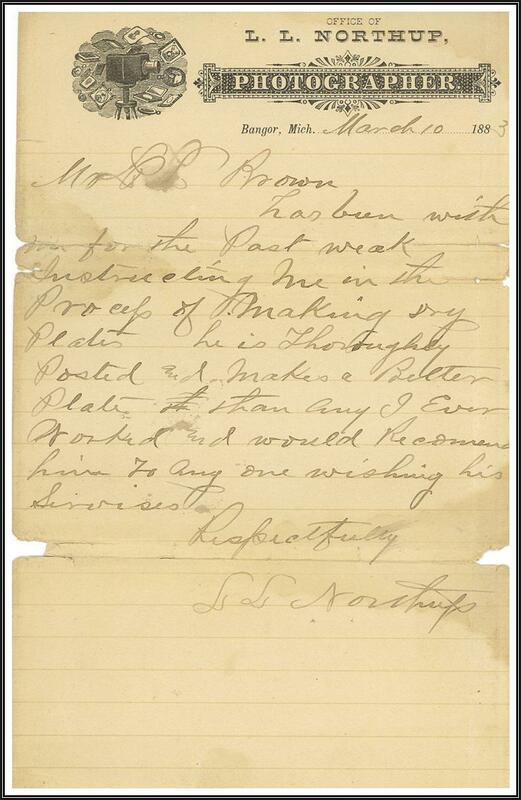 This letter was found amongst other written testimonials for LP Brown who was attempting to bring his own dry plates to market at a time (early 1883), when the dry plate market was still in its relative infancy. Given the lack of information on LP Brown, his attempts were apparently not successful. By 1883, there were a few firms that had become established dry pate manufacturers, including George Eastman, but many individuals still tried to bring their own recipes to market at this time. 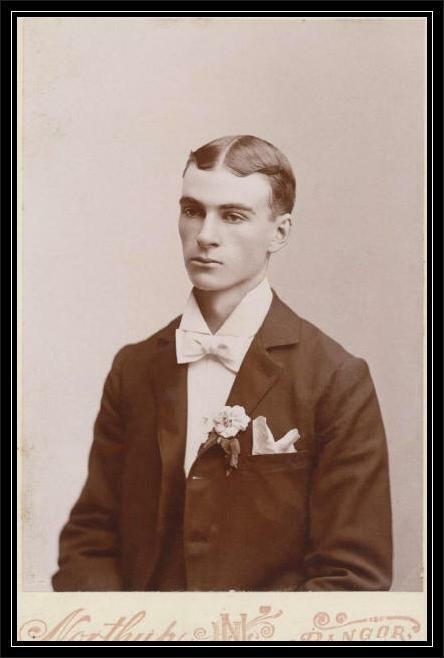 Below is a picture of Vassar L. Northup, Lester's son, on his graduation day from Bangor High School 1895 (photo courtesy of Bangor Historical Society). Vassar also went on to be a photographer in Washington state as well as Oregon. One of my resolutions for this year was to join The Daguerreian Society. 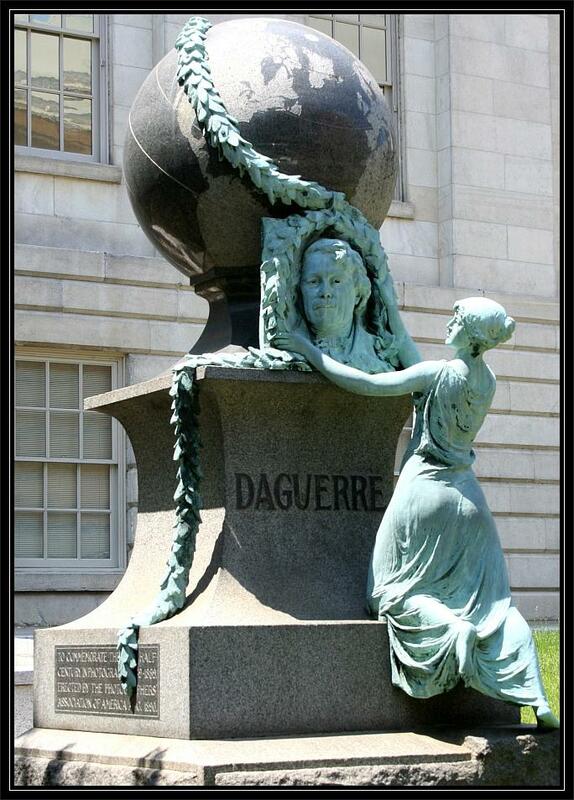 The Daguerreian Society brings together people from all over the world who are united by a common interest in the history of photography. Our members include students and teachers... museum curators and scientists... collectors and dealers... historians, photographers and artists. 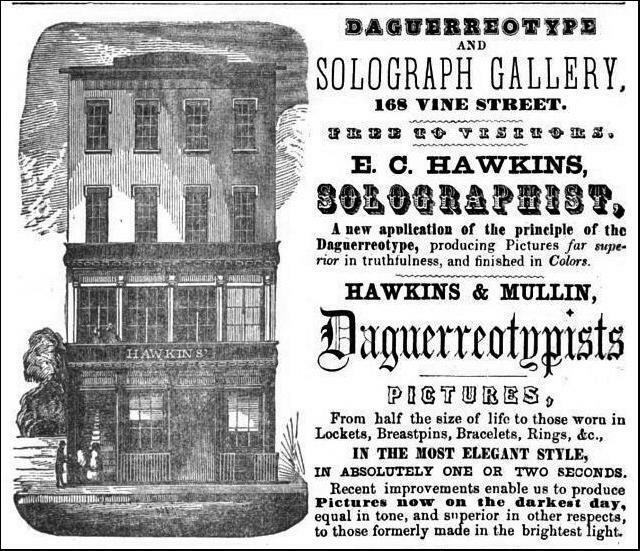 We formed in 1988 as a group "dedicated to the history, science, and art of the daguerreotype." 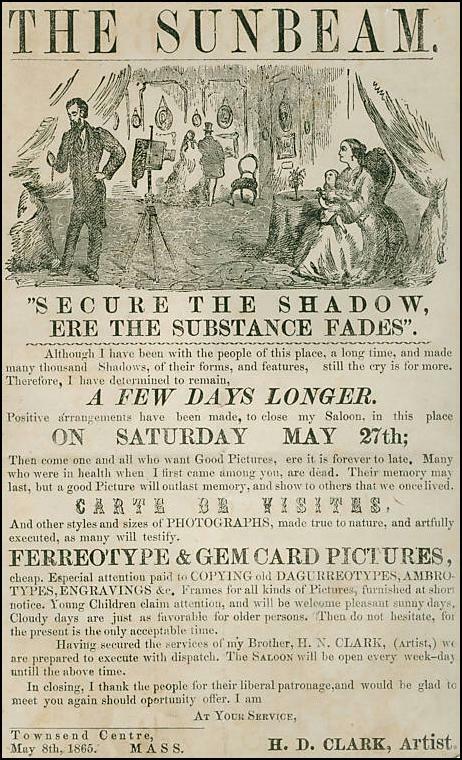 Daguerreotypes -- the glittering, mirror-like images made by the world's first practical system of photography -- are only one part of what brings us together. Over the years, we've learned to appreciate the skills and knowledge of our fellow members, and their dedication to increasing the world's understanding of early photography and its role in history. 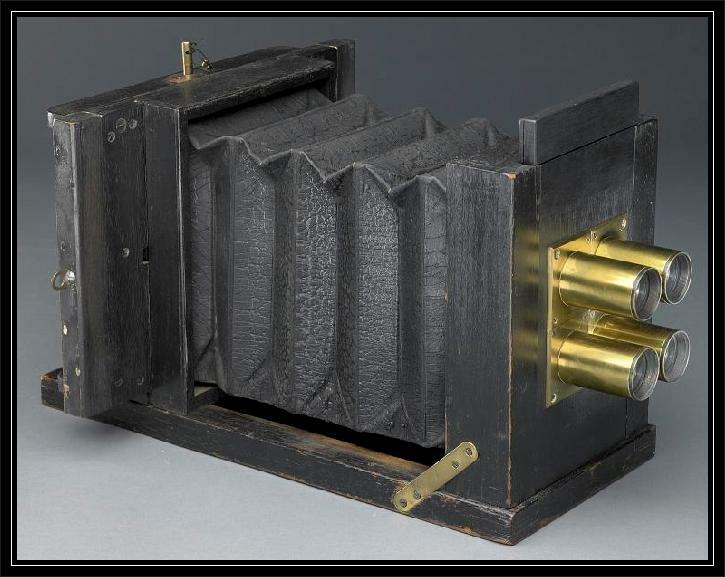 The DS is the premier group for those interested in the early history of photography, regardless if you are an image collector, camera collector, or just interested in the art of photography. It's worth every penny to become a member. You should join today ! They also have a fairly active Facebook page, that you should take a look at. JOIN TODAY.